The House of Representatives passed on third and final reading a proposal that seeks to amend the 1987 Constitution for the creation of a federal government. Resolution of Both Houses (RBH) 15, authored no less than by House Speaker Gloria Macapagal Arroyo, was passed with a resounding vote of 224-22-3 on December 11, Tuesday. Puno headed the Consultative Committee endorsed by President Rodrigo Duterte to review the 1987 Constitution. The former CJ said the committee is in the process of drafting its stance against the House’s proposed resolution. The proposed Constitution is composed of 17 articles. It was authored by 40 congressmen including Macapagal-Arroyo. But for a charter change that’s supposed to shift the country’s government system to federalism, the draft constitution approved by the lower house does not seem to provide enough provisions on the creation and implementation of the federal states. In fact, it only allots five sections under Article 12 for the discussion on federal states. For one, there is no specified limit or a set number of federal states allowable under the approved draft constitution. 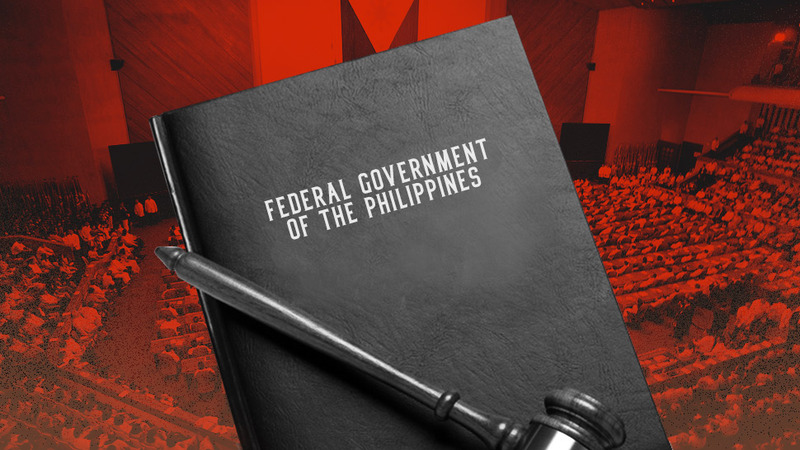 Instead, it simply states that a federal state may be created through a petition filed to the Congress and decided by a plebiscite in the affected political units. To be sure, it says that a petition to become a federal state may come from any contiguous, compact, and adjacent provinces, highly urbanized and component cities, and cities and municipalities in metropolitan areas. But the draft constitution does not discuss what exactly the requirements are for the mentioned units to be considered as a federal state. It only mentions that for “exceptional cases,” a province may become one based on area, population, necessity, geographical distance, environmental, economic, and fiscal viability, and other special attributes. Only the Bangsamoro Autonomous Region was singled out by the draft constitution to become a definite part of the would-be federal states. So what are the other major changes in the proposed federal constitution? - A two-party, federal system shall be adopted in government. The two parties to gain the most number of votes in the first national elections under the new Constitution shall be the official parties that will represent the two-party system. However, there were no details or mechanics provided on how the new parties--after the first term of the new constitution--will be elected. - Members of the House of Representatives and of the Senate are now mandated to hold college degrees. - There will be 300 seats available in the House of Representatives up from the current count of 250. - Members of both houses will hold terms of four years. That is an increase of one year for the members of the House of Representatives and a decrease of two years for the Senators under current laws. - Senate members will be allowed to hold their posts for longer than two consecutive terms, a change from the term limits currently stated in the Constitution. - Likewise, congressmen will also be allowed more than three consecutive terms. - In the new draft, the President of the Philippines will be required to be at least 45 years of age once he or she assumes office; the current Constitution pegs the lower limit at 40 years old. - The president will now also required to be a college degree holder. What happens if and when this version of the draft Constitution gets ratified? - The first national and local elections would take place on the 2nd Monday of May 2022. To be elected are the president, vice president, senators, representatives, and local officials. - The incumbent president is not allowed to run for presidency in the 2022 elections. - Party lists would still be allocated seats according to RA 7941. But Congress shall enact a new law on party list or sectoral representation under the new Constitution after the May 2022 elections. - The new Constitution shall take effect immediately upon ratification by a majority of votes in a plebiscite. It shall supersede all previous constitutions.